Comfort is a hugepart of the flying experience. No matter how long passengers are in the air, they want to have the most enjoyable flight possible, and that means having the interiors of aircraft outfitted with the highest-quality upholstery and carpeting available. Aero Marine Interior, Inc. is one of the leading aircraft interior companies, and our expertise has helped corporate aircraft and commercial airlines alike ensure that their cabins are as comfortable and attractive as possible. 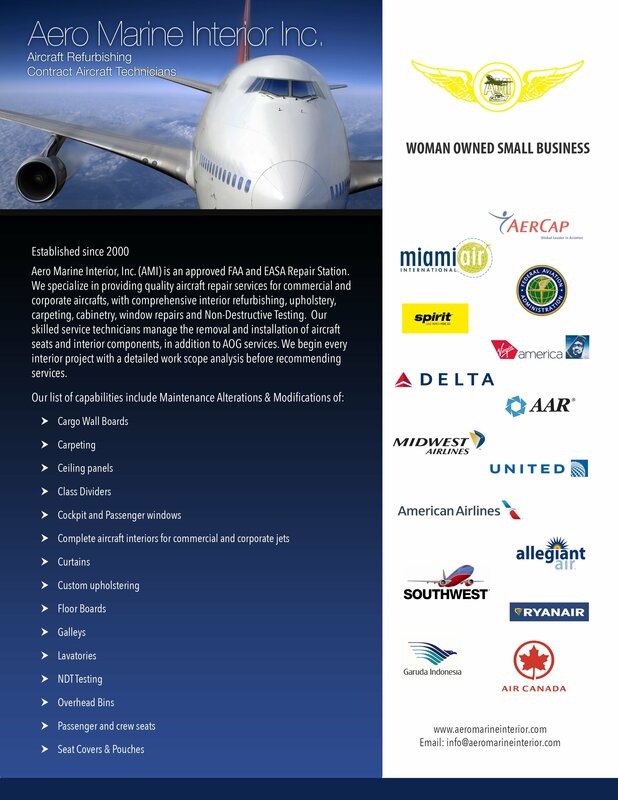 Our broad understanding of high-quality aircraft upholstery and carpeting means we’re the best source for keeping your aircraft or fleet of planes looking and feeling their best for you and your passengers. No one knows more about airplane upholstery and carpeting than Aero Marine Interior, Inc., and we’d love to show you why. 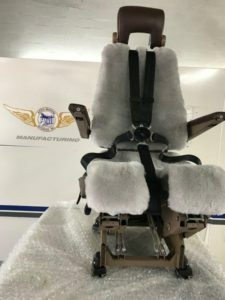 As one of the leading aircraft interior companies serving the aviation market today, Aero Marine Interior, Inc. has extensive experience working with aircraft upholstery and carpeting. 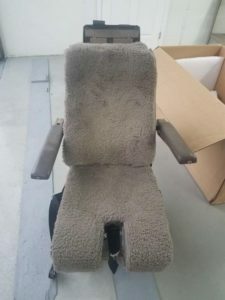 Whether you want plain fabric, sheepskin or another type, Aero Marine Interior, Inc. can help you choose the airplane upholstery fabrics that are right for your planes and project. When working with Aero Marine Interior, Inc. for your aircraft interiors and upholstery, you’ll receive only the best service possible. Our field service technicians can come to you, and we employ only the most experienced and qualified aircraft interior technicians and seamstresses in Florida to provide you with the highest-quality service and outstanding results for your aircraft. Whatever your upholstery and carpeting needs, Aero Marine Interior, Inc. has the capabilities and expertise to deliver the solution. If you’re in need of top-flightaircraft interior services, call Aero Marine Interior, Inc. today to get the process started or to receive a quote.